Our retreat rooms are designed to be a heaven of calm and comfort. You can chose from the following rooms. The Birch room is the one room that we open with the feeling of awe! Faces east to welcome the morning sun, this room has a clean, fresh smell that is hard to describe as well a feeling of Zen that is hard to find! 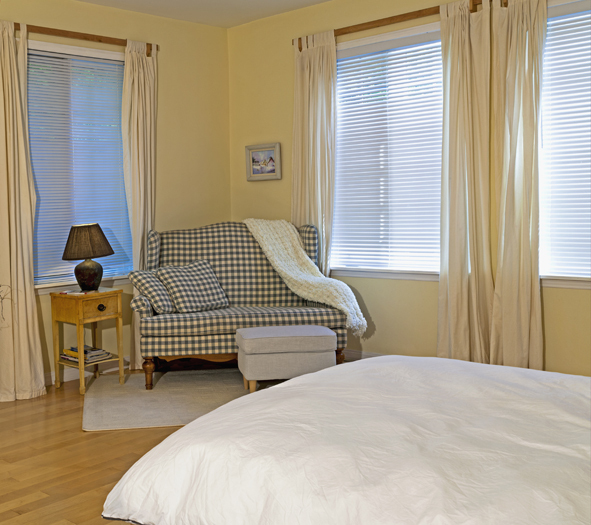 Our bright spacious room comes with four large windows, a nine foot ceiling and maple wood flooring. The room is designed with birch bedroom furniture matching end tables some of the wall decoration is made of birch branches for instance the towel holder in the bathroom. 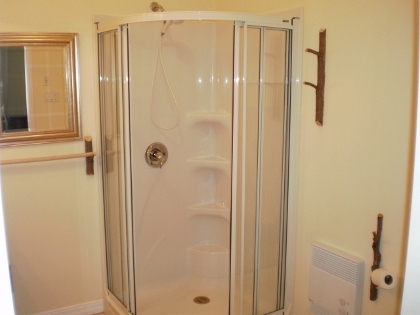 The large private washroom comes with a shower and wall to wall mirror and custom made wood counter. The first thing you’ll notice when you walk in is the amazing amount of sunlight filtering through the three large windows. Faces southwest, the Cedar room has this bright, warm and cozy feeling that will keep the room warm throughout the day! It comes with a nine foot ceiling and custom made spruce flooring. The cedar room king size bed can be made into two single beds and rearranged accordingly. 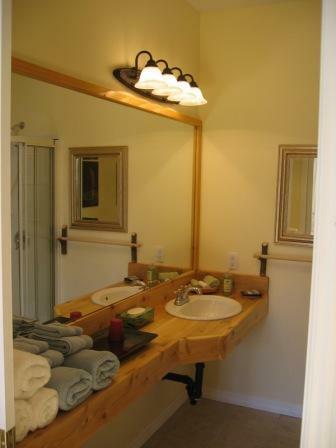 The next thing that may catch your eyes would be the wall to wall mirror and custom made cedar counter. 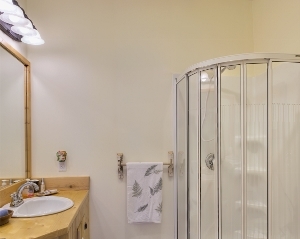 This bright large private washroom comes with a shower and hand made cedar branch towel hangers and other cedar bathroom furnishings! Our rooms are heated with radiant floor heating, so the rooms feels warm and comfortable and relaxing..... no more cold feet going to the bathroom at night. The rooms are also large enough for a sitting area for you to enjoy relax,read and enjoy some quiet time if you so desire. Come and enjoy and feel the quietness.